Doctor’s interpersonal skills with their patients must always be up to par. However with patients now having an option to take regional anesthesia instead of general anesthesia, doctors are facing a new territory that will truly test their interpersonal skills. This innovative technique of anesthesia is on the forefront of patient autonomy, in which patients are pushing back against physician control and want to be more involved in their own medical treatment (Hoffman, 2017). 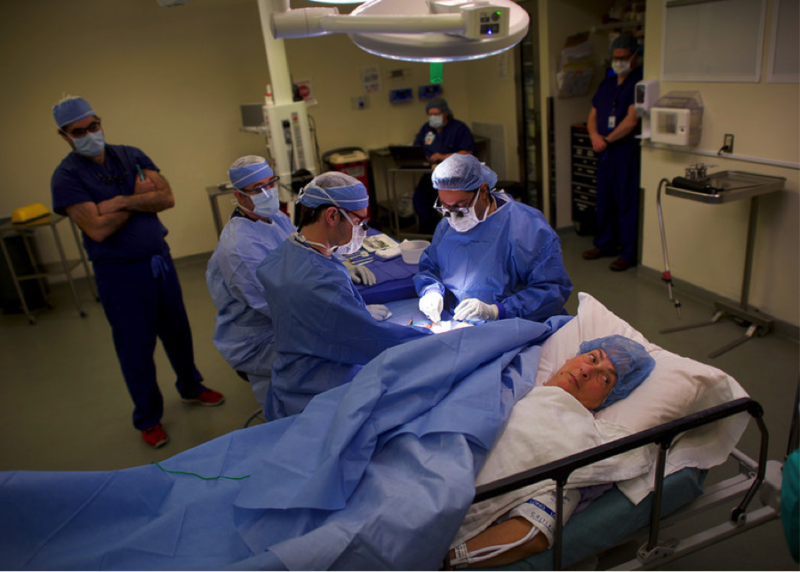 In Going Under the Knife, With Eyes and Ears Wide Open Hoffman speaks upon the issues between patients readiness to receive this type of anesthesia but doctors inability to adjust smoothly. 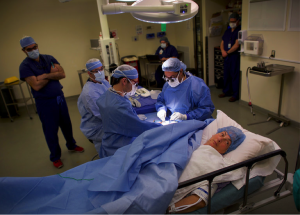 Doctors are finding trouble being courteous and empathetic during the surgery, while the patients are fully conscious and tentative to everything the doctor is doing. Empathy is an individual’s ability to understand and relate to another’s perspective on matters. Like the old saying, it’s essentially putting oneself into another’s shoes (Myers, 2017). This concept is especially important for a doctor when performing surgery while the patient is awake. An example of a doctor who is not empathetic in such a situation would be them saying thing such as “Oops!”, “I wasn’t expecting that”, or even “Oh my god I wasn’t expecting that. This could easily set a patient off into a panic, raising their blood pressure level, compromising the success of the procedure. Perceptibly this is not what doctors struggle for when performing surgery, instead for an easygoing success, which would come naturally for an empathetic doctor. Advocate Dr. Ilyas from Rothman Orthopaedic Specialty Hospital in Bensalem praises awake surgery saying, “It’s all about communication, comfort, and experience” (Hoffman, 2017). In the study done by the Spirituality in Clinical Practice the method of mindfulness was followed as a mean-making activity, able to allow medical professionals to enrich their social relationships, empathy, and compassion. To enhance this mindfulness the Buddhist metta meditation was proposed, which could possibly help health professionals build a stronger therapeutic relationship. This style of meditation was principally aimed to increase the medical professionals feelings of empathy and compassion towards all living things. The results were conclusive in finding that the meditation allowed for protection against burnout, pain and anger while with patients, and also an enhancement to their resilience. By having medical professional practicing such mindfulness, there is a correlation between social and existential outlooks into healthcare settings (Nilsson, 2015). Being in a medical professional means being a master of all trades at times. Patients are typically in a vulnerable position while undergoing medical treatment, so for the doctor to accommodate to that is crucial. Bedside manner for patients helps to develop a healthy doctor-patient relationship, allowing for a successful procedure and recovery rate. An empathetic doctor, one who is mindful of their patient’s emotional needs and responds to them suitably, are able to deliver optimal care and experience less anxiety for themselves.